of things that mesmerize me each time I travel through France. showcasing French Country and how to get the look. to replace, to rearrange, and to update rooms in my house. I look at my inspiration photos to capture a French feel. created a French Country style to the bathroom. a lavender embroidered towel from France. was a Christmas present from my husband several years ago. The wire basket with its white fabric lining has a French feel. I was excited to find this wire basket at HomeGoods last year. less French farmhouse and more French salon look. Look at the difference three changes made. now looks more elegant French Country than French farmhouse. blue and white toile fabric replaced the small white chair. curves in the cushion's shape and the curves in the wood. with a chair covered in matching blue and white toile. round metal basket with its white fabric liner once was. Previously the rose bundle was part of last year's Christmas mantel. See how it looked at French Christmas Mantel. echo the faded colors of French salons. More updates are in store for the small sink vanity next to this window. and a new mirror are in the works. medicine cabinet and new mirror. clippings for French-inspired decoration and sources. Looking for your own inspiration and sources? 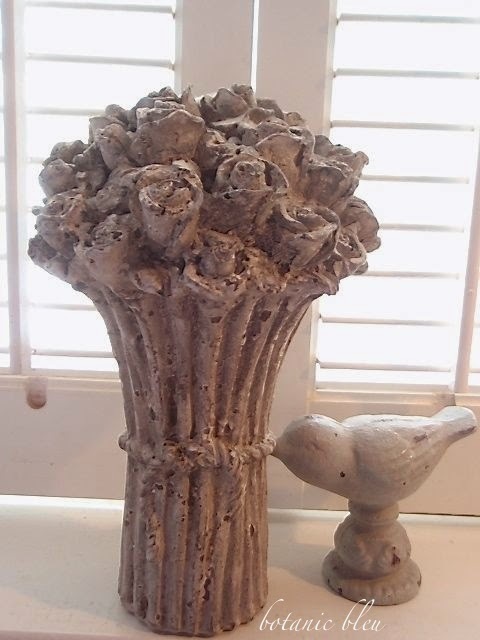 See Botanic Bleu's Pinterest Boards for both house and garden. Love a little color inspiration? changes made to the house? The changes began in the kitchen. airier look with a decided French Country kitchen style. Love the ottoman with the blue and white toile fabric! Nice simple changes that really improved the room. I like the french salon look. Your French country bathroom provides the eye relaxation in its beautifully chosen pieces. The ottoman is very refined looking and a I love the wire basket with pristine White liner. Very pretty changes. I love how a house evolves and looks gathered over time. 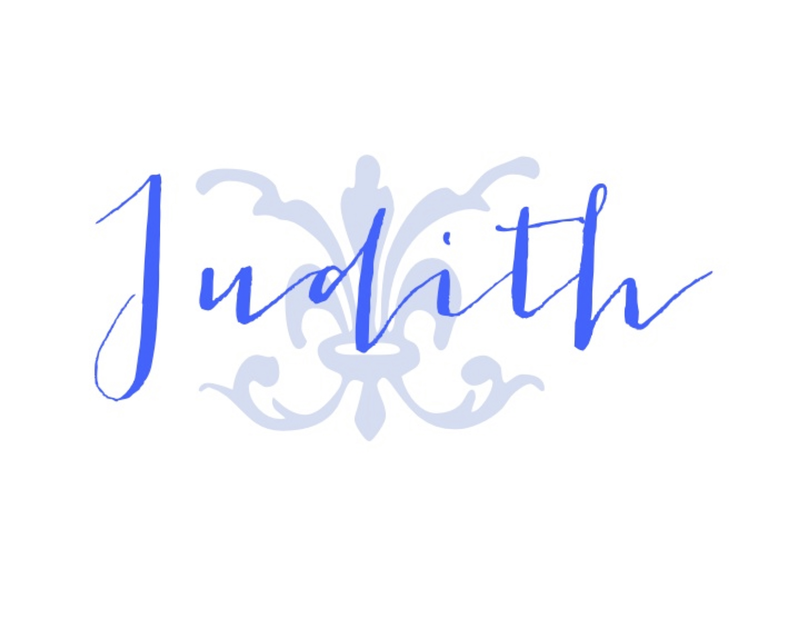 Hi Judith, be it refined elegance in French decor or all the way French brocante there are so many directions one can go in with the French decor. I personally use a lot of French pieces with a washed and weathered oak feel to their woods giving it a more rural rustic elegant feel in my French home. I try and stay true to a French language with using pieces that are not of mass market, and ones from fleas or a found piece from a thrift shop that they had no idea what they had on their hands. 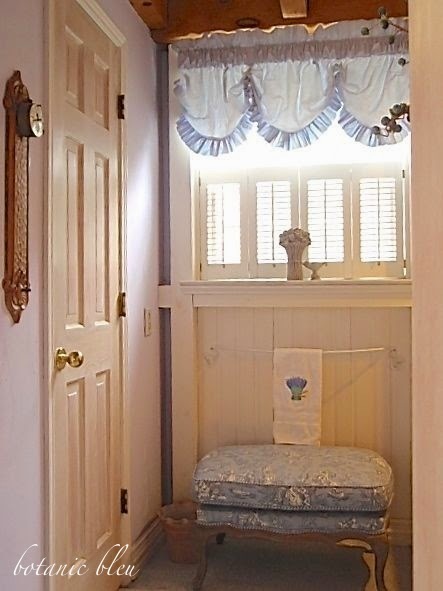 I love your bathroom, I wish I had the room for such a footstool as you have here. The bleu toile and its french allure is captivating in your bathroom. 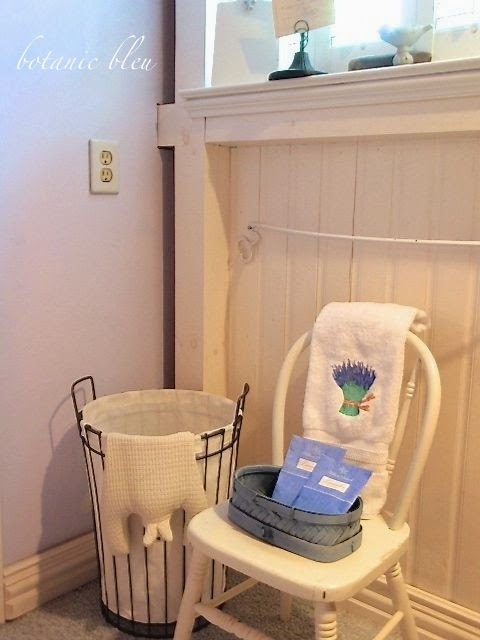 I use an old galvanized French bucket in my bathroom for a waste can. I dislike using a store bought plastic, metal, wicker, or of mass production, it tends to take away some of the rustic charm. 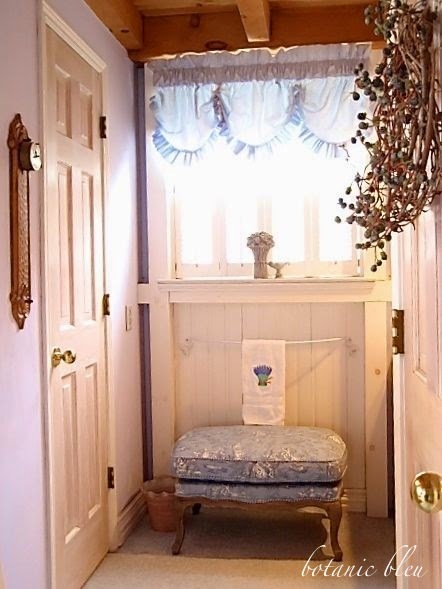 I think some linen hand towels hanging would look great, something old and tattered with rustic age. I have grain sack hand towels hanging and they really feel and look old. I also made curtains with frayed edges out of drop cloth, this added another element of French to my bathroom. I love the old French farmhouse feel, yet I also love the elegant French empire design as well. I think it all depends on the home and the style it demands. All things French and I love it here. LOVE all your changes! The ottoman is perfect there. What a lovely transformation! 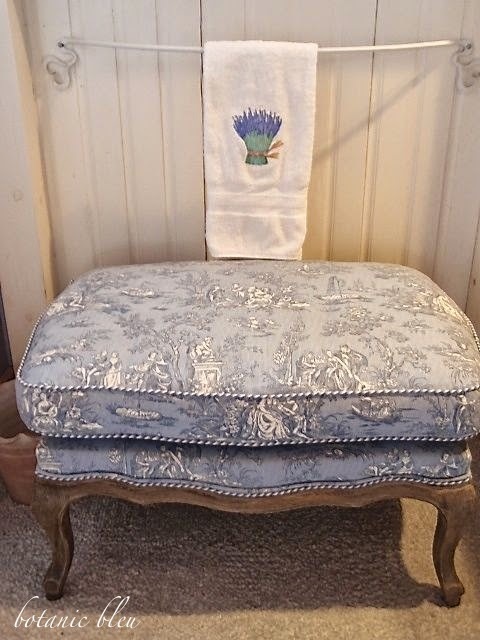 I love the sweet footstool covered in toile. Lots of ideas and inspiration here! Visiting from Charm of Home. I adore that ottoman! It's divine and really did make a huge difference! I would love for you to stop by my blog on Mondays and join our Something to Talk Anout link party! I would love for you to stop by my blog on Mondays and join our Something to Talk About link party!